Carousel can pull data from iCal calendar feeds to display event dates, times, rooms, and names. Many calendar apps output the iCal format, including Google Calendar. 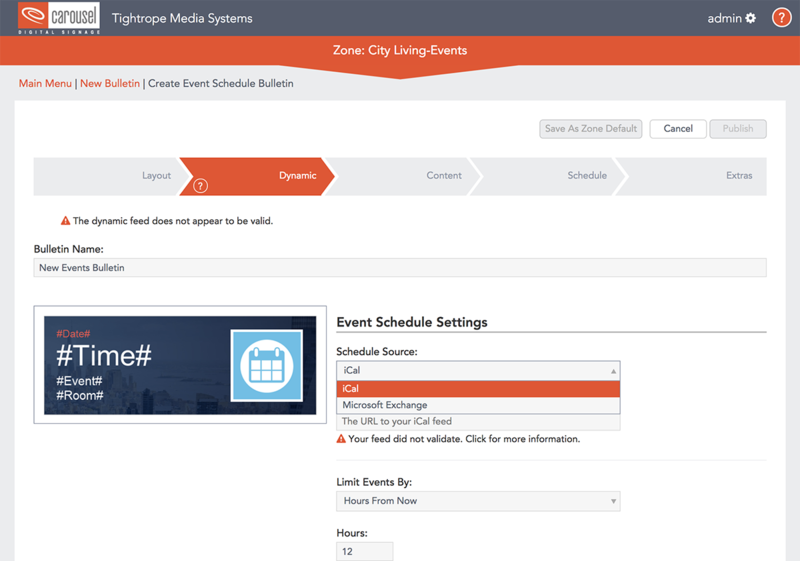 This is great to show the schedule of events that are happening in your conference rooms or facilities. We also use it in our office to show metro transit schedules and birthdays!